Long irregular square in the centre of the old walled town. 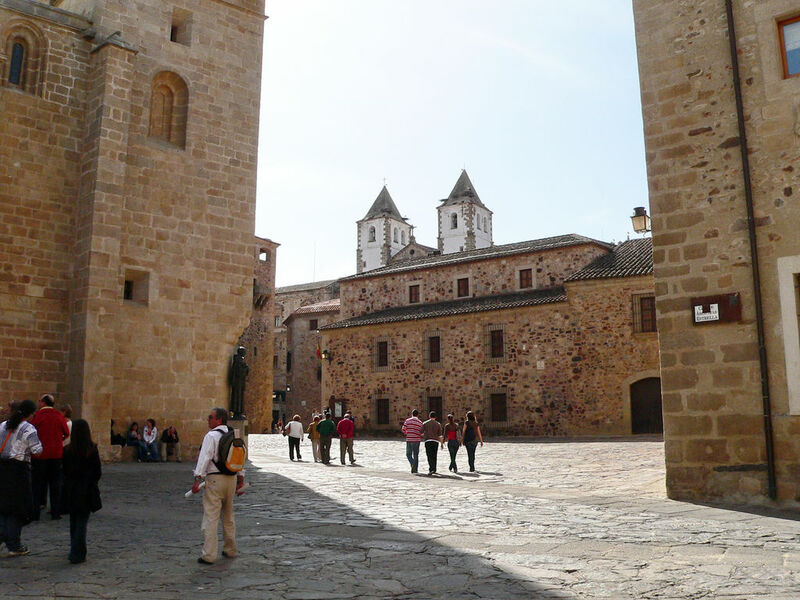 From this place, there are several views of the elegant ochre façades that characterise the historical centre of Cáceres. You can admire the Mayoralgo Palace and its gemeled windows. See also the bossed façade of the Episcopal Palace that dates back to the 16C. Its portal is framed by medallions representing the old and new worlds.